Image by SiR. Some Rights Reserved. 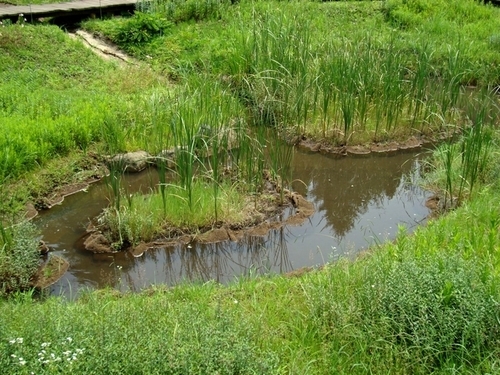 The government of Sasayama City, located in the central eastern part of Hyogo Prefecture in Japan, announced in June 2013 that it will subsidize citizen efforts to conserve and restore the city's rich natural environment and habitats for various kinds of native animals and plants living there. Activities eligible for the subsidization include: efforts to establish biotopes by filling idle farmland with water year-round, and efforts to keep rice and vegetable fields filled with water in winter from around November to March. The annual amount of the subsidy is 6,000 yen (about U.S.$61) per 1,000 square meters for projects that establish a biotope on idle farmland, and 4,000 yen (about U.S.$41) per 1,000 square meters for projects that fill cultivated fields with water in winter. Other eligible activities include efforts to create waterfront or establish evacuation slopes and thereby conserve and restore habitat for animals and plants, to survey the distribution of rare animals and plants and thereby protect them, to remove non-native species, to maintain broadleaf forests, and to educate the public and raise awareness, such as by holding events for observing living organisms. The amount of the subsidy for each of these activities is up to 200,000 yen (about U.S.$2,040).